I have added two new build variants to rdesktopce_rdp5 (see also older article). For whatever reason MS decided to make Windows 2012 RDS (former Terminal Services, now Remote Desktop Services) not compatible with Windows Mobile 6.x and other Windows CE 5.0 based handheld devices. Fortunately, if you activated Remote Desktop License Server using ‘Web Browser’ method, you simply have to change the Collections Security settings and disable ‘Allow only … Network Level Authentication’ (NLA). The following can also apply for Windows 2008 R2 Terminal Server. Check if you activate the Licensing server via “Web Browser” connection or directly. 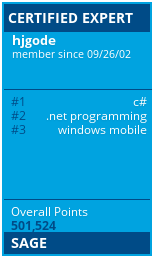 My 2008 R2 server is running OK for Windows Mobile, as a stand-alone server, with 100 licenses and activated via “Web Browser”. But let start at the beginning. where only EnableClipboardRedirection is working. Will update the code of rdp_autologin and it’s tools to enable you to control the clipboard setting by the registry. Currently it defaults to ENABLED. Recently I looked for support of starting an alternative shell when using Remote Desktop Mobile on a Windows Embedded Handheld 6.5.3 device. MSDN says that I can to specify AlternateShell in a rdp file. As Windows Mobile devices always use \Windows\default.rdp, I added the following two lines and tested what happens. But why? I decided to look inside wpctsc.exe I dumped of a WEH device to see which strings (used sysinternals strings app) are known to the Mobile Remote Desktop client. And, no surprise, AlternateShell is not known inside wpctsc.exe. But I saw two other interesting strings around the ones used in rdp files.